It was the brilliance of this scooter that inspired Micro UK founders, Anna and Philippa to start a scooting movement, which has revolutionised the school run for parents and children alike. 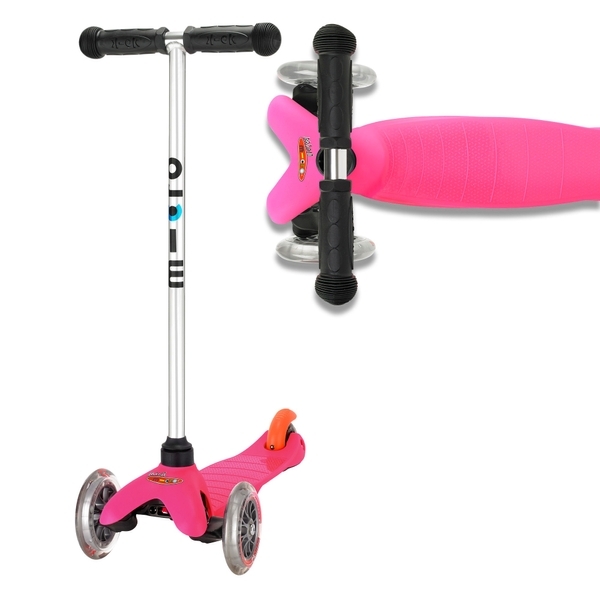 The iconic Mini Micro scooter is now the must have accessory for every pre-school child. The light-weight frame allows children to scoot and carry without difficulty. The intuitive lean and steer design, which helps to develop balance and coordination skills, can be mastered with surprising ease, meaning your child will quickly find their scooting stride, transforming every journey into a new opportunity for adventure. active and play outdoors—it can even revolutionise the school run!